" I don't have to fight machine pressure when I exhale because of the C-Flex. Smaller, more compact, easier to travel with. " 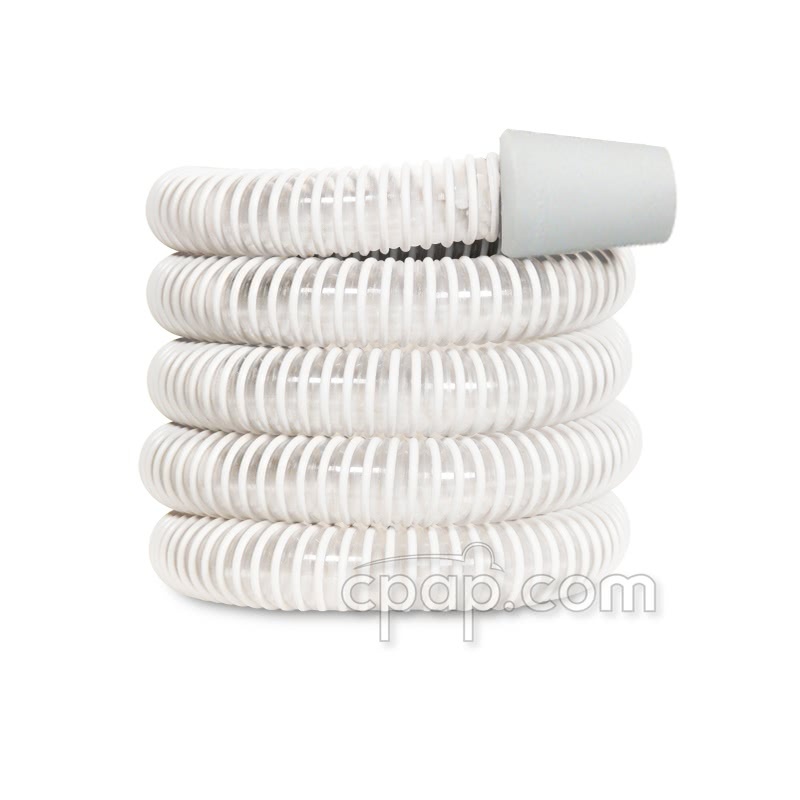 " This has proven to be an excellent replacement for my older CPAP machine. It's smaller and as such, is much easier to pack. It's also more quiet. " 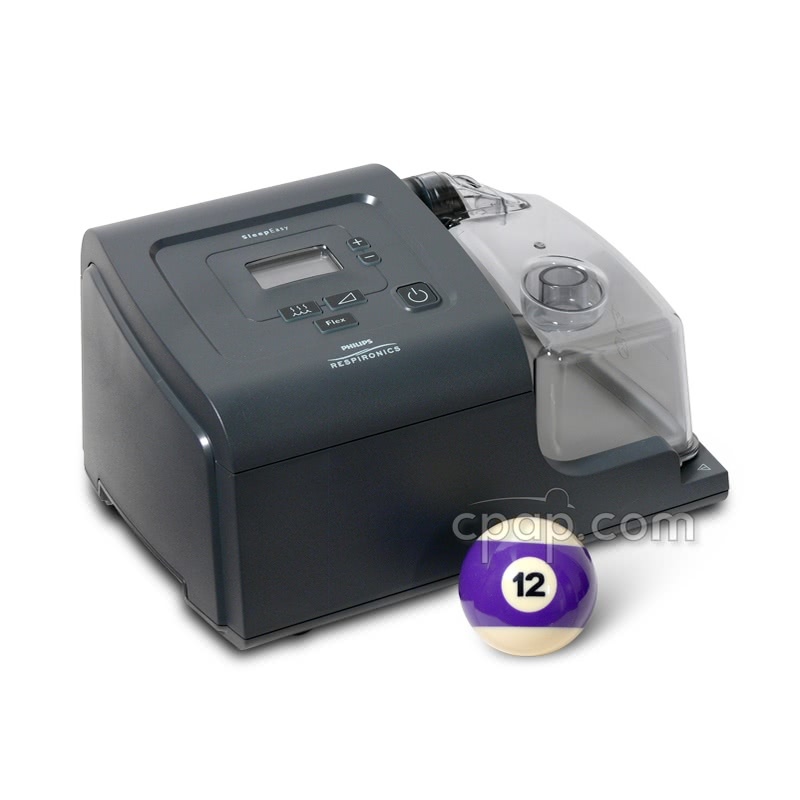 The SleepEasy II CPAP Machine with Built In Heated Humidifier and C-Flex from Respironics aims to increase ease of use. 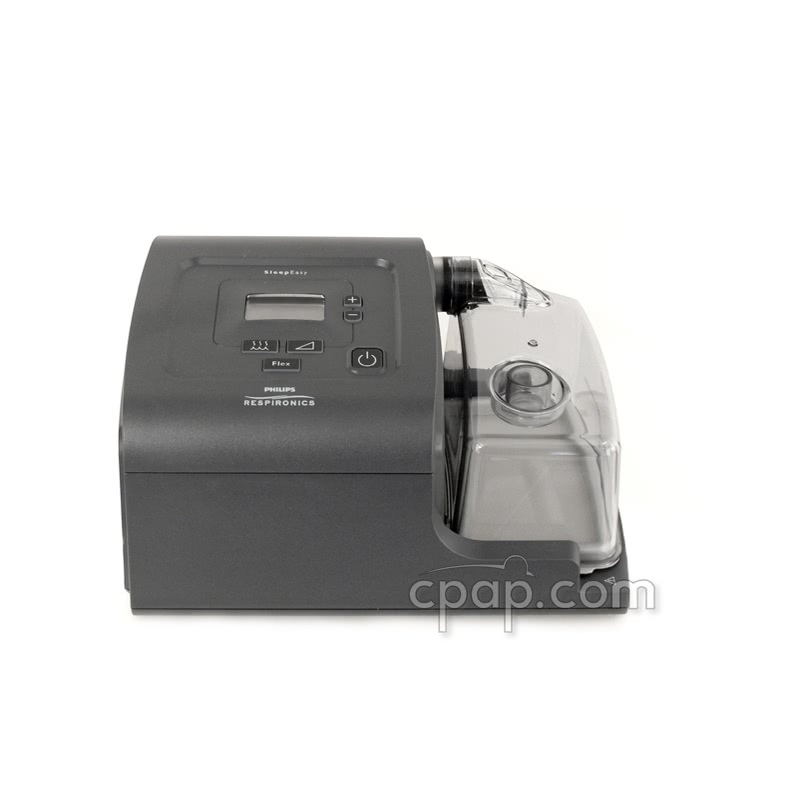 The Sleep Easy II Sleep Therapy System is a simple, reliable CPAP that can be trusted. Performance and portability are within reach thanks to the combination of features like heated humidification and C-Flex Technology. 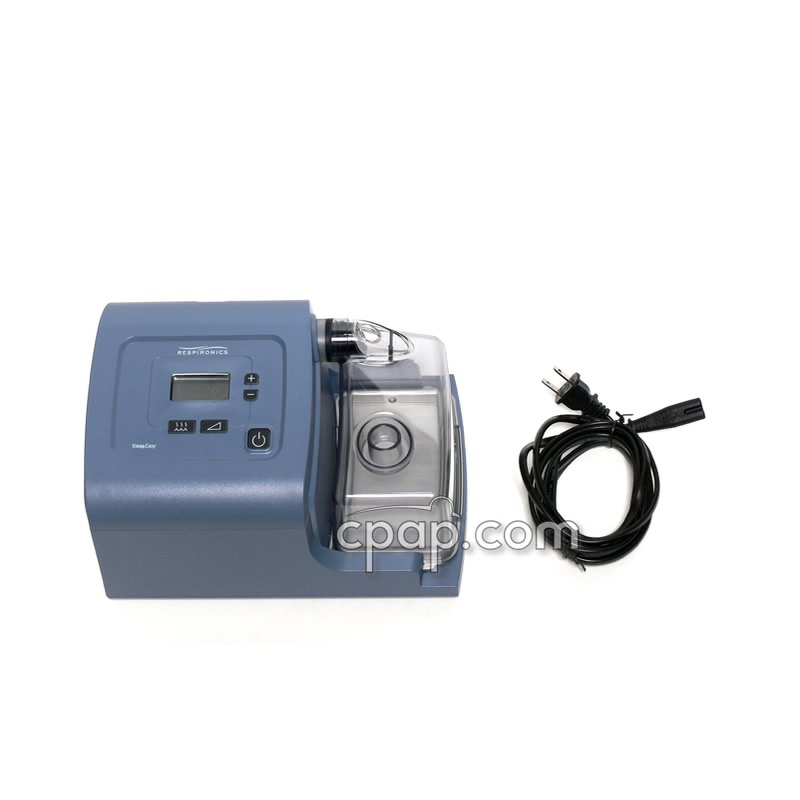 The Respironics SleepEasy II CPAP Machine with Built In Heated Humidifier includes C-Flex Technology and VIC reporting capabilities. The SleepEasy II is designed to be an affordable therapy device with all the benefits of enhanced features like built-in heated humidification and C-Flex. To help make therapy as natural as it can be, Respironics has designed the SleepEasy system to look more like a natural part of a bedroom and less like a medical device. They made it sleeker, smaller and less obtrusive and its new textured casing will blend into your home decor. Humidification is a feature that may reduce nasal dryness and irritation by adding moisture and heat to the airflow. The SleepEasy II system lets you use heated or pass-over humidification, right out of the box. Receive enhanced comfort with the push of a button. Additionally available is the VIC (Visual Inspection Check) feature. It allows users to view a set of on-screen reports on compliance. Important Viewable Compliance Data Note: SleepEasy II compliance information can ONLY be viewed on the machine data screen. The machine does not have the capability to downloaded the data from the machine for printing. Purchase the Humidifier Water Chamber for the Sleep Easy CPAP Machine if you need to replace your old or damaged water chamber. 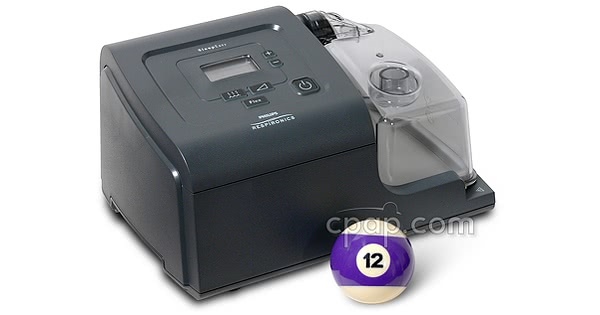 The SleepEasy II CPAP Machine with Built In Heated Humidifier and C-Flex does not have a DC port and cannot be connected directly to a battery source. However, an inverter delivering a minimum of 300 watts may be used to change DC current into AC current. The 300 Watt DC to AC Power Inverter is a modified sine wave inverter compatible with the SleepEasy machine. Looking to purchase a battery and inverter to use with the SleepEasy II CPAP Machine with Built In Heated Humidifier and C-Flex? Consider the Respironics Battery Kit with 400 Watt DC to AC Power Inverter.